Tiangong-1 ("Heavenly Palace 1") will soon re-enter the Earth's atmosphere and fall to the surface of our planet. The impact of this spacecraft was calculated to be anywhere between 42.8 degrees North and 42.8 degrees South in latitude. The movement of this spacecraft into our atmosphere is an uncontrolled entry. Nobody knows exactly where this craft will crash but parts of it will survive re-entry. They also warned that the space station might be carrying a highly toxic and corrosive substance called hydrazine. The bad thing about this situation is that the word "uncontrolled" is in it. According to the Express, scientists say the likelihood of arriving in parts of Europe, US, Australia and New Zealand are high, but they cannot predict where it will hit. The US-funded Aerospace Corporation estimates Tiangong-1 will re-enter the atmosphere around the first week of April, but it could arrive even sooner than that. The European Space Agency says the module will descend between the 24th of March and 19th of April. China admitted it had lost control of Tiangong-1 in 2016 and said they would be unable to perform a controlled re-entry. That's never a great thing when it comes to space exploration and/or objects careening toward our planet. But never you worry, this uncontrolled entry is such that the chances of us all getting smacked in the head are very small. "Tiangong-1 is a large spacecraft comparable in size and mass to other, frequently used space stations and cargo vessels such as ESA's ATV, the Japanese HTV, Russian Progress and American Dragon or Cygnus," said a representative of the According to the European Space Agency. "From monitoring the controlled reentries of those types of spacecraft, it can be surmised that Tiangong-1 will break up during its atmospheric re-entry and that some parts will survive the process and reach the surface of Earth." 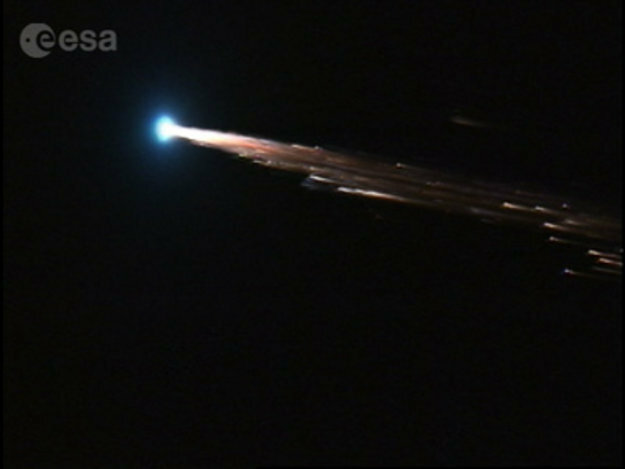 Tiangong-1 (UN COSPAR ID 2011-053A) was launched on the 30th of September, 2011. It was launched with a Long March 2F/G rocket and reached between 300-400km altitude. In January of 2018, the craft orbited at around 280km altitude, and it'll only speed up its fall to Earth from here. We've reached out to the ESA for comment on the situation and have not yet heard back as of publishing time.